Earlier this year we saw Azeri born Ukrainian fighter Artem Dalakian (16-0, 11) score a career defining win and claim the WBA Flyweight title, as he clearly out-pointed Brian Viloria. Whilst the win came against against a shadow of Viloria it did put Dalakian on the boxing map, especially given that the win came on one the second "Superfly" show in Inglewood, California. This coming weekend Dalakian returns to the ring to defend that title against his mandatory challenger Yodmongkol Vor Saengthep (50-3, 25), himself a former WBA “interim” champion. Prior to his title win Dalakian was a bit of an unknown, though an unknown who had some solid power and had beaten some fringe fighters, like Silvio Olteanu. Against Viloria he proved he was a really solid boxer, with nice movement, good solid jab, unexpected speed and impressive size for a Flyweight. He didn't seem to be the toughest, and did look very wary of Viloria's power, but was too quick and too smart for the popular, but faded, Filipino. Although he looked impressive against Viloria it's fair to say that Dalakian looked like a fighter who was being made to look better than he really is. Viloria was far too slow to punish Dalakian, he was unable to cut the distance, and was unable to really force Dalakian to fight. Instead Dalakian was allowed to use his jab, move and tie up on the few occasions that Viloria was close. It prevented Viloria from using his power and showed that there was a boxing to Dalakian. Admittedly he was also a frustrating fighter to watch at times, being a bit too cautious and even being a bit dirty, being deducted a point for pushing Viloria's head down, in what was a bit of a “6 of one, half a dozen of the other”. Unbeaten, fighting at home and as a new champion Dalakian will come in to this bout riding a huge high and the 30 year old will know that big bouts could be around the corner if he can come out on top here. Fights against the likes of Ryoichi Taguchi, Andrew Selby, Paddy Barnes, or Kosei Tanaka are likely to be on the table if he can successfully defend his belt here, and are potentially good paying defenses if he's willing to travel. Aged 27 it feels like Yodmongkol has been around the sport for a lot longer than he really has, though has managed to fit in an impressive 53 fights in just over 9 years. As with many Thai's his record is relatively inflated, focusing more on quantity rather than quality. Saying that however Yodmongkol does hold relatively notable wins against the likes of Jerry Tomogdan, Crison Omayao, Koki Eto and Takuya Kogawa, and even in his most recent loss, a 2014 defeat to Juan Carlos Reveco, he looked very decent before being stopped. As a fighter Yodmongkol has a good work rate, with his win against Koki Eto proving that, good but not massive power, despite stopping 15 of his last 16 opponent, and pretty solid defensive and technical ability. Sadly where it comes apart is that he's perhaps not the toughest, as his stoppage to Reveco showed, he's not got the best work rate, with Kogawa seemingly out working him in their clash, and he has very little experience of fighting outside of Thailand, the loss to Reveco is the only time he has fought away from home. Although Yodmongkol is better than many would assume, as is usually the case with Thai's who have got padded records, we don't see him coming out on top here. We suspect that Dalakian will be out to make a statement, will look to set a high tempo and will get to his man early on. Yodmongkol may have some moments with his counter punching, specifically to the body, but we don't see him lasting the distance with the champion. WBA unification in Argentina this Friday between Yodmongkol and Reveco! If there is one country that no visiting fighter seems to enjoy it's Thailand. The atmosphere might not be vicious but the over-all conditions are, as fights are fought in blistering heat, humid air and often in temporary out door arenas that are certainly not what visiting fighters are used to. The conditions are set in the favour of the domestic fighters as much as they can be and very few fighters will have fought in anything resembling the conditions of a typical Thai show. Outside of Asia we may actually find that Argentina is the next most hostile venue for fighters. Unlike Thailand fans are willing to show their dislike of a result, even a clean and well earned stoppage as seen in Johnriel Casimero's excellent win over Luis Alberto Lazarte. 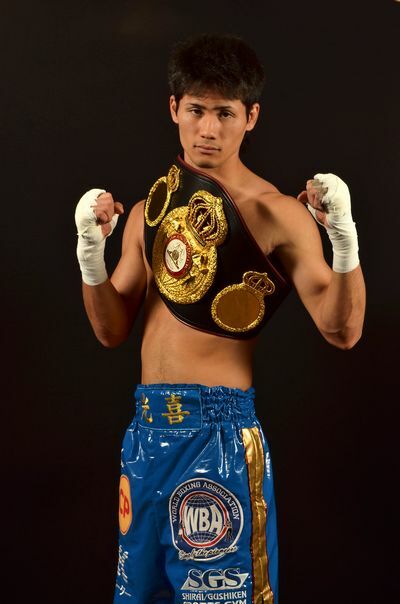 Unfortunately for WBA interim Flyweight champion Yodmongkol Vor Saengthep (34-2, 30) it's Argentina that he's heading this week for his next bout as he battles against the very talented Juan Carlos Reveco (34-1, 18) in what, on paper, looks to be a truly tremendous bout between to talented fighters in boxing's toughest division. Reveco enters the bout as the WBA "regular" champion and has, in terms of results, been on fire in recent years with a 17 fight unbeaten run. Those 17 fights have seen the Argentinian go 11-0 (5) in world and interim world title fights, a very impressive streak. Sadly those numbers to belie the fact that some of his opposition has been weak to say the least with fighters like Julian Rivera, Jean Piero Perez, Ronald Barrera and Ulises Lara really not fight to be in world title fights. Although Reveco's opposition hasn't been great that's not to say he's actually a bad fighter. His win over Masayuki Kuroda did prove that he was a capable fighter and his body shots, which have been shown repeatedly over his career, have shown real world class skills as has his over-all boxing ability which is often crisp and intelligent. Sadly those world class glimpses have been few and far between since he moved to Flyweight and last time out he was fortunate to retain his title against a very spirited Felix Alvarado and had the Alvarado/Reveco bout been on neutral territory we'd likely be discussing Yodmongkol fighting against Alvarado. As for Yodmongkol we're not fully sold on the Thai. In his break out win over Koki Eto the Thai looked very smart and neutralised Eto's aggressiveness and work rate. Yodmongkol slowly but surely broke Eto, who put on a great effort but was stopped late despite his fighting heart. Sadly though Yodmongkol looked awful, and we mean awful, when he battled against Takuya Kogawa who appeared to be very harshly done by when he battled the Thai, who on that day looked lazy and fought with contempt towards his Japanese foe. At his best Yodmongkol is a defensively tight fighter with sharp and accurate shots, as he showed against Eto, at his worst however he's a lazy fighter who can be kept behind his own defensive work as opposed to really taking the fight to his opponent. At home he can often get away with that strategy away from home though it's a dangerous one and could well be the undoing of a 28 fight winning streak that dates back a little over 4 years. Sadly for Yodmongkol many of those wins have come against lesser foes and in many ways his wins over Kogawa and Eto are his stand out wins whilst other victories, over Crison Omayao and Jack Amisa, certainly look like they have come against regional journeymen. What we're suspecting to see here is a really good battle against two world class, though not elite, level Flyweight fighters. In a world where we have just 1 title this would be an eliminator style bout and it would show as both men show their desire. That desire will be here as both men attempt to break the other in what we suspect will be a very entertaining battle up close between two talented fighters. Unfortunately for the Thai the odds are he will need a stoppage to get the win and we don't see him getting that against a tough Argentinian who has shown the ability to grit it out where needed. Despite that Yodmongkol will almost certainly give him a lot of questions through 12 very tough rounds. Note-This bout has been re-arranged several times since this preview was originally written.